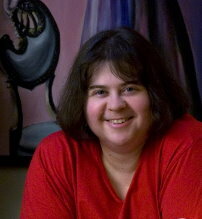 Vera Nazarian is a two-time Nebula Award Finalist, a Dragon Award 2018 Finalist author, award-winning artist, publisher of Norilana Books, musician, philosopher, and creator of wonder. Don’t be shy! Click around. Peek under the covers and around corners. Stare at the shadows and look directly into the light. Home’s just the tip of the wonder iceberg. 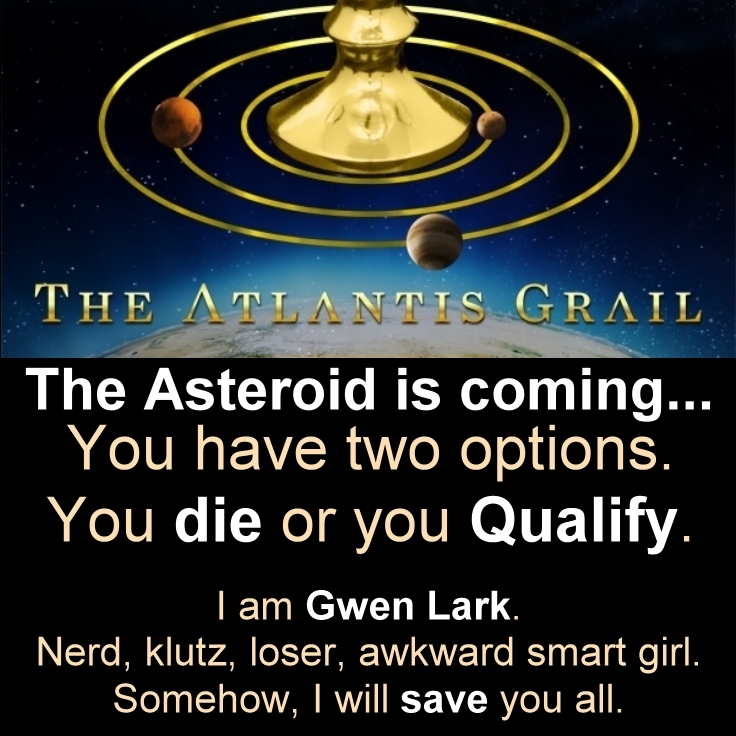 For the latest news about The Atlantis Grail series of books, check the official series website, www.TheAtlantisGrail.com. For my latest general news, check the Blog! To be notified about my new book releases and other exciting news, be sure to join my Mailing List (Newsletter)! Congratulations on the new site! I look forward to reading your blog posts. I couldn’t find a reference for it on the web. Could you tell me where you wrote that? And on what page. Thanks, Ken, it’s from my book The Perpetual Calendar of Inspiration. What page of The Perpetual Calendar of Inspiration was that quote on? I have loved the Cobweb bride and Cobweb Empire and have been waiting on tenterhooks for the third book. When will it be available to buy as I have been going through Amazon.com and it is still not listed. Hope you are having a great Christmas and best wishes for the new year! Thanks so much for asking, Cheryl! 🙂 Glad you’re enjoying the Cobweb Bride books! The book (Cobweb Forest, book three) is delayed about a week as I am putting finishing touches on it, and it should be available by December 31st! Finished Cobweb Bride and have started on number two, so glad I will be able to get three without waiting too long! I love your series. In fact I am reading them on my Kimdle, but, they are a keeper I will be buying them in hard back forms. I had no idea how honored I was to have been befriended by you on Facebook! I’ve been awaiting the release of the 3rd Cobweb Bride Book and although the website says it’s available via B&N, it is not. When will it be available so that I may purchase it on my Nook? The third book, Cobweb Forest has been released on December 31, 2013, and is gradually propagating in the global distribution system and showing up in various online bookstores. Just finished The Cobweb Forest and it was amazing! I couldn’t put it down, started yesterday afternoon and was simply oblivious to the world around me. Absolutely loved it! I will definitely miss Percy and Beltain. I am so glad that you enjoyed the books, and believe me, I also miss Percy and Beltain and the others! 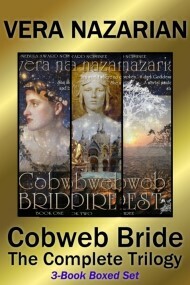 I just finished Cobweb Bride. But this has begun my appreciation of your writing abilities! Holy Mackeral as my Grandfather used to say! I am a prolific reader, often digesting several books a month. When a top quality book fibds its way onto my plate, I surely know it. Cobweb Bride was a filet mignon among many burgers so thank you! I look forward to the next with overly eager anticipation. Literally like Chtistmas in July, no pun intended since it actually IS July! I finished Cobweb Bride just a few moments ago and am still fizzing with the wonderful excitement of finding a really, really good storyteller. I’m thrilled to see how many other books you have for me to explore, especially the Cobweb sequels. And Austen! Oh, this is going to be fun! I love your quote about the nutcracker. May I cite you and this line: “The nutcracker sits under the holiday tree, a guardian of childhood stories. Feed him walnuts and he will crack open a tale…” for an upcoming self published book in my area? Thank you very much! I surely will. Thank you very much. quote about Books as it’s Mast. I just discovered your Cobweb Bride series and I am hooked! I just ordered the 2nd e-book to read this upcoming weekend. I am an avid reader of everything, and I don’t normally write to authors, but the story really impressed me – your writing is Gorgeous! I can’t recall how I found the first book, but isn’t that how it’s supposed to be some times? Please keep writing and I promise to keep reading. Have a great Christmas and best wishes for the new year! I’m a teen and I really love your Atlantis Grail book! I don’t know what to do with my life now while I’m waiting on the last two and I’m so impatient when I really want something, hahaha! The ending killed me, though. My heart broke a little bit. It was so good! Wow, thank you! 🙂 There are no better words to hear, and it warms my author heart! So glad that the Atlantis Grail has connected with you! I promise the next book is coming soon, and so many new and wonderful revelations, twists, and turns are ahead for all your favorite characters… So, stay tuned, hang in there, and, patience! 🙂 Because to say anything else would be spoilers! You’ve just made my day! 🙂 How absolutely wonderful to get your lovely note! I am so glad you are enjoying QUALIFY, and there are plenty more stories to read, if you want to try my other work. Enjoy! 🙂 And thanks again so much for dropping by from Wattpad! You are always welcome here! and I was just wondering what you meant by it because I think it means that when you read a good book it opens your mind to new ideas, possibilities and cultures. That’s one way of looking at it, sure, Bella. However I meant it as a greater whole. The world, or all of us, is composed of a certain cumulative amount of common knowledge and enlightenment. The more each one of us reads and learns, the more we “improve” upon our greater cumulative store of awareness, wisdom, knowledge, and goodness — what I mean by light. I just finished reading Compete today and what an ending. It is going to be so hard to wait for the next one next year. Those two books have been so good, i went through them in a week; I could not put them down. Haven’t had a series do that since Cobweb; they just hook you in and will not let go. Oh, that’s great! Thank you so much! 🙂 Really appreciate the mention! I’ve enjoyed Qualify and Compete. I look forward to the next two. I’m sure you wrote these books for a teen audience, so you may be surprised to learn I am a 68 year old male! Your writing is compelling. Not only have you created a complex plot (complete with multiple sub-plots) but you have also developed not one or two but a large cast of interesting characters. Thank you so much, Paul! I really appreciate your wonderful comments and so glad you are enjoying the series, regardless of age! I do need to point out that I think you’ve misread the story — nowhere does it say that George is literally sitting on the couch or is even in the same room with his parents — because he is still on the road, on his way home. You may be thinking of the line “Because there’s Mom and Dad and George.” That part refers to Gwen simply thinking about them, grouping them together in her thoughts, in the sense of “there they are,” still in trouble back on Earth, not literally in the same room together. Thanks again for taking the time out to comment! Something about this section also made me think at first George was right there. I finally decided he wasn’t (because of further info about his location). Just thought you might want to know if you ever were doing an edit on the book. I too am enjoying this series (f. Mid 40’s). Learned about it off of Ripley’s book list, best book they’ve recommended yet (write YA so I try to keep up on current readings in YA). Eagerly awaiting Win. Hoping mid-feb but understand the difficulties of life and deadlines :-). Thank you for writing books so enjoyable! I have loved your two books and can’t wait for the next to come out! The section that was discussed is perfect the way it reads. I’m a 48 year young women who reads all the time she can and you have me hooked!! I just finished the second book of the Atlantis Grail and I loved it so much! When is the next book coming out? I am truly hooked! Book three, WIN, is coming out on February 14, 2016, Valentine’s Day. I can’t seem to find the new book on Amazon. Could you share a link? I just finished the Atlantis grail books. Well done! They were both excellent and I am looking forward to the third book. Thank you so much!!! *beaming* So glad you enjoyed! I just finished the first two books in the Atlantis Grail series-wow!! Do we really have to wait until February? Looking forward to possibly getting to know Aeson. Thanks so much for sharing your stories!! Yes, February is the release date, because I need at least 6 months to write the book! 🙂 Working on it now! I just finished the two Atlantis books. I loved them. I was mesmerized by the physics and kept stopping to go off and read Scientific American articles about Quantum Physics and Entanglement! I also enjoyed the character development and the sense of family portrayed in the books.I really cannot wait until the third books comes out! Thanks again, PS I am 62 and love science fiction of all sorts Young adult or old adult! Your stories cross generations! Quantum entanglement is truly amazing! Thank you so much for your lovely comment and for enjoying the books! 🙂 WIN, book three is coming soon! This may sound like a repeat, but I must congratulate you on the Atlantis series. WOW! I normally speed read through books, but after the first two chapters of the book “Qualify” I slowed way down to a crawl. I haven’t read a book that slowly with full attention in years. I got so absorbed into the story that I actually had full pictures in my mind as it were a movie. Thank you so much for that experience. The last time I think I slow read something was “The vampire assistant”. Your style of writing automatically engaged me. That has not happened in a long time. I thank you for that and look forward to Valentine’s day for book 3! I just wanted to thank you so much for writing this story. My 16 year old daughter and I have throughly enjoyed both of the Atlantis Grail books and are eagerly awaiting WIN in February! Your writing is so intense and descriptive, I haven’t enjoyed a book this much in a long time. I was on the edge of my seat , then crying, then laughing. You are a true storyteller! Keep up the good work! I really appreciate your lovely comments, thank you! 🙂 So glad that both you and your daughter are reading and enjoying the books! My daughter and I were just discussing the Atlantis series and we were wondering if you had planned to do a book with Aeson’s POV? … and others, all from the POVs of those characters. The adventure will continue in WIN, book three, which is coming on February 14, 2016, Valentine’s Day. The good news is, I plan to post an advance preview of several chapters over at Wattpad in December, just in time for the Holidays! After reading the first 2 books in the Atalntis Grail series (both books in about 2 weeks!) and reading the above posts, I also wanted to reach out to you. These books are fantastic – and I think that is partly a great story and equally excellent writing. As others have said, your writing is amazing, keeping me completely immersed in the story throughout. I literally had a hard time putting down my kindle to sleep/eat/work. I stumbled onto these books and now (like everyone else here) cannot wait for the next book(s) next year. I will be following closely but also look forward to reading your other works. Also, the “outtake novellas” you mentioned previously sound cool! Oh, thank you so much, Lori! It warms my heart to hear this! 🙂 Your lovely comment is deeply appreciated! February will be here before you know it, plus I will be posting an advance preview of several chapters over at Wattpad in December, just in time for the Holidays! Hi Vera, I just finished reading book two of the Atlantis Grail series and they are great! I could hardly put them down as they were so entertaining. I can’t wait for Win to be released. Can you give me an idea when it might be released? WIN, book three, is coming on February 14, 2016, Valentine’s Day. I will also post an advance preview of several chapters over at Wattpad in December, just in time for the Holidays! Just finished the Qualify & Compete series. Looking forward to the next two books. Have you considered writing from Pilot Kass point of view. His conversation w/Oalla & Xelio, etc. Really love the books so far. Thank-you. Thank you so much, Marie! So glad you like! Hi. I haven’t read anything as compelling as qualify since harry potter. I am a big fan of ya fiction. Thank you. Thank you. Vera, I logged onto your web site to find out when “Win” would be released. You answered that questions many times over. I truly enjoyed both of the books in the Atlantis series. My question is, is there a way to get a reminder via email when “Win” becomes available in its entirety? Please keep up the excellent writing! Thanks so much, Grace, so glad you liked! 🙂 And yup, to get an email book release notification, that’s what my Mailing List is for. thank you so much for making my life so happy and amazing! Awww, thank you so much! So glad that Gwen really resonated with you, I’m honored! It’s the best thing for an author to hear, ever! THANK YOU! 🙂 And of course I’d love to see your pictures of the characters! So I happened upon Qualify and Compete. Read them both in the past 2 days. In between work and very little sleep. I can’t tell you how much I enjoyed them. It’s been forever since a book kept me up all night reading it. I am crying inside because I have to wait for so long for the next 2. Found you on pint rest and started following you. Will look for you on Facebook and Goodreads also. Left you 5 stars for both. Anyway we can get an idea of what’s going to be happening in Win? Anyway, THANK YOU!!! Awesome books and I enjoyed every second of them. WIN, book three will be here before you know it, and I plan to post an advance preview of several chapters of it over at Wattpad in December, just in time for the Holidays. I have read both of the Atlantis Grail books and loved them. I have had them for about a month and have read them at least 4 times. I called my mom and told her about them and now she is hooked also. February cant come fast enough. Love love love these books. Qualify came up as a book sugestion on my amazon account a couple of days ago and I have since consumed it with gusto as I found it such a good book. The only problem is that it has given me little time to do the other things I need to do like work/sleep etc. Either way this weekend is a write off as I have compete to read, good job most of my Christmas shoping is done!! I read that you dear mother’s favorite movie was Persuasion…I share this preference with her…a heart warming triumph of love. ps- i was always suspicious of logan. ive always liked aeson! Aeson had to remain cold and aloof for most of Qualify and Compete because as the Imperial Crown Prince he had the duty to marry someone his father approved of, and so for the longest time he could not allow himself to feel, and tried repressing it. But he “went rogue” in the end when he could no longer deny his love to himself and to Gwen. Omg!!! I hope Gwen and aeson will stay together! And thank you sooooo much for answering my questions Vera! Btw I call them Gweson! I am also writing a book about a girl and her autistic sister,crazy life and everything else so if you have any tips I’m on wattpad my user is girlygirlgracie. Just message me if you have time thank you Vera:)! Omg omg omg, I LOVE YOUR ATLANTIS GRAIL SERIES. And i just found your website and realized there will be 4 books not just 3…woohoooo. i am really interested in reading how you create Atlantis! Was such a unique plot line! I secretly jumped for joy when i read logan was out. But I was kinda torn between xel and Aeson. 🙁 but I did have one question about book 2. And if u you deliberately left us wondering well, grre, but no problem. The whole ceremony at the end where Aeson claims her as his Bride… is that there version of a wedding, or is that his version of “proposing?” Seemed kinda dictorial if its a wedding, like Gwen has no say! Just wanted to tell you how very much I enjoyed reading Qualify and Compete. When I finished the second book I went straight to buy the third , I was soooo excited. Take your time and I know it will be my pleasure to read Win soon. Thanks for your amazing story telling . Wow! I just read the first few chapters of WIN on WattPad and I am really impressed! Can’t wait for the next book and I can’t wait to hear what the Archaeon Imperator has instore for Gwen! I have a feeling the pegasus will come back, there was some speculation on Wattpad about it! Something is going to happen! And Lady Tiri is probably not going to like it. Will Manala steal it or wil Gwen intervene? Is that a River Song reference? Um, no. It simply is spoilers. Means I cannot give away any more information, or it will spoil the story. Well, I figured that, but I thought it might be a reference to River Song from Doctor Who. It’s pretty much her catchphrase. I’ve read both books and then reread them in anticipation of your third book. I know there can be delays and when “Win” is available I’ll lock myself away so I can read it. Thank you for such an awesome series. re. @ikan75 there’s a difference between a fan and an abusive selfish individual who does not care when the author is suffering a debilitating illness, because apparently it’s all about you. Goodbye. You are absolutely right I am a selfish sumbitch thinking only of the pleasure I get from reading your stories. I humbly apologize for having offended you as often we do not know how hard it is to walk in someone else’s shoes. It is very hard to undo something we did wrong but I hope you do accept my apology. Thank you for your kind understanding. 🙂 Apology accepted. I just read your comment. I just read your comment and hope you now understand a bit my reason. Hard waiting not knowing the you will not be here. I just wanted to let you know that I’m now a huge fan of your series “The Atlantis Grail”!!! I actually read all three books in one and a half day and I totally can’t wait for the release of the third book. I originally didn’t want to read the third book in wattpad because I was afraid that it would leave me in a cliff hanger but nooooooo…… my fingers were twitching in anticipation on what happened next (after the grand proclamation of Aeson Kass to Gwen Lark!! I totally DID not expect the ending. It was sooooo romantic!!! XD), and so I started reading the preview of book 3. I couldn’t even put my tablet down after reading just the first chapter, and here I am finished with all eighteen chapters!! So anyways, all i wanted to say was how good of a writer you are and hope that you’ll release the third book soon! <3 I literally cannot wait! P.S This is officially one of my favorite all – time series! P.S Hope you get well soon! I have truly enjoyed your books. I am eagerly waiting for Win to come out. I love all of the details that are included. Thank you for engaging my imagination. You can read the first half of WIN on Wattpad, and the rest of the book is still being written — I hope to be done by the end of May, but no promises due to my health issues. Hi Vera, I’m a high school student, and I’m making a short film that I want to enter into film festivals. I was wondering if I could use a quote from the perpetual calendar of inspiration in my movie. Would that be ok with you? Thanks. Thanks so much for asking, Isabel 🙂 Yes you may use the quote, with proper attribution. 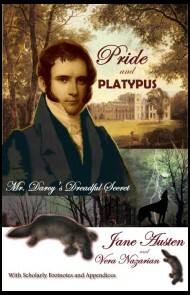 Have been looking for book three. Site says it was our in Feb. 2016. Cannot find it anywhere. Was this a misprint? When will book be available in stores (i.e. Barnes & Noble)? Thanks so much! 🙂 I am still working on it, hoping to be done with WIN in a few weeks. The book was delayed due to my medical issues. The third book of the Atlantis grail keeps saying that it will come out in several weeks. Can you give us a more specific date? Such wonderful writing. Thank you, thank you, thank you! Just read Qualify and Compete straight through (the characters were that well written) and didn’t see the end coming. But i hope there’s a believable explanation how Gwen goes from high school geek to super hero in a year. That’s become a pretty big pill to swallow. How is Gwen a super hero? Despite endless physical training she is still barely above average in Combat, cannot run very well, and the only thing she has going for her is her smarts, her voice, and her tendency to open her mouth and speak out. She’s just a nerd girl placed in impossible circumstances slowly gaining confidence in herself. What’s hard to swallow? Tough circumstances change *all* of us. Hey Vera, Hope you are feeling better. Thanks for posting draft of WIN. Looking forward to its release, but take your time and do a good job like you have with the earlier books. Suggestion for final book: Maybe the aliens have a point; for all the technological advancements of both Earth and Atlantis, they have retained some very barbaric customs and there is much inequity across the population: Aeson and Gwen see this, make changes, and the aliens back quit throwing stones. Hi Vera, I hope You’re doing ok. I’m a huge fan of your Atlantis Grail series, and I can’t wait for the next book to be released! I was wondering, is there a link somewhere to your favorite reads? In a FAQ, or on Goodreads? Since your books are so amazing, I’m sure you have some awesome recommendations (which, of course, I’ll throw down as soon as Win is released, lol). Thanks for asking. I love all kinds of books and genres, and I’m a huge fan of Tanith Lee’s work, such as The Birthgrave (mentioned in Qualify as one of the book that Gwen rescued). Vera, I’ve been hooked on the Atlantis Grail series as you have a wonderful way of conveying details to the reader. I’m waiting patiently for the rest of book 3. I hope you are well soon and can return to writing as you are a fabulous writer. Can’t wait for the text that you are back and feeling great. Take care of yourself. I’m hooked! Line and sinker! Read both books in record time. Could not put them down. Way to end book 2 with that cliff hanger. Can’t wait for book 3 WIN! It was a fast pace read cover to cover. I was just checking up on your progress with book 3 when I realized that we can read the first 26 chapters!!!!! Where have I been!!!! Can’t wait, thank you so much. Just actually got finished with Dragonian and Temeraire series which are amazing also, thank you so much! I hope your health is stable or better yet, improving. I know so well the challenges we face when our body bbegins to fail us. I had quintuple-bi-pass surgery recently and have had to stop working due to all the post operative conditions. It is so difficult coming to the realization that you can’t do what you used to do. I pray your loyal following will be patient while you manage through your health issues. BTW – I am a huge admirer of the ATG series and patiently await Win’s completion. Thanks so much, Leslie, I really appreciate your lovely comments and your patience. 🙂 Working on WIN as fast as I can. Hello from the Netherlands . Are you going to write a book what will tell the story of the people that where leeft behind on earth. I would love to know about what happened with the family of Gwen and if they are also been taken in to orbit when they learn about Gwen. Sorry for the bad english . Greetings Constance and a very merry Christmas to you and your family. Thank you so much, Constance, so glad you like the books! Some of this will be revealed in the rest of the books, and yes there will be additional novellas written that will explore this and other details that may not be handled in-depth in the main books. Note: all of these will be released only after the main 4 books of The Atlantis Grail are released. So, start expecting the novellas after the release of SURVIVE. As far as paper print editions, there may be a novella bundle edition in hardcover and paperback, just like the main series books. Just discovered your Atlantis series – WOW! Could not put them down and can barely wait for the next two in the series! This will be the first time I’ve ever commented on any books I’ve read – and I read way too much according to most of my friends and family. Anyway – wanted to let you know how much I’ve enjoyed these books. Hope you and your family have had a wonderful holiday! Thank you so much for your lovely comment, so glad you enjoyed the books! 🙂 I am still working on WIN, book three, hoping to be done with it soon. The book was delayed due to my medical issues. Loved your Atlantis series, can’t wait for your next book. Your writing is amazing. Vera, I have been patiently waiting for the next book in the Atlantis Grail series, “Win” and then “Survive”. I hope the New Year brings you good health, and the inspiration to continue your writing on the Atlantis Grail series. Please hurry! I wait in anticipation to begin the further adventures of Gwen Lark and Aeson Kassiopei. How long is each of the four books (novels) in the TAG series? I expect WIN will be longer than QUALIFY, and at least 60-70 chapters if not longer. Is this a firm estimate? Of course not, I honestly have no idea. The best answer I can give you is that the story takes however long it needs to be written, be it another 10 or 30 chapters. Have a great year. I hope your health is better. Wishing you the best. Loved the first two books, looking forward to the next book. From page 1 of Qualify, I fell in love with this book. This amazing world that you have created is amazing beyond words. I read the first two books in less than a week. Now I am reading the preview on wattpad and it’s just so amazing! What I find really cool about your books is how easy they are to read. Unlike the shorter books we read in school, I can read on of yours in just a day because I am so entertained! Another thing that I really like is your background. Like you, my parents were Soviet immigrants and I speak Russian fluently. I love when you mention other languages especially Russian because I actually understand the foreign words. I know you also include other languages as well, but I find being to relate to one especially cool 🙂 This is such a cool and interesting story and I’m so happy my sister told me to read this. Thanks so much for the wonderful comments, so glad you enjoyed the books! I hope your finished books of WIN and SURVIVE will be available to download on E-Books. I an unable to read small print anymore so have to avoid buying regular books. I have macular degeneration and have to magnify everything I read. That is how I have been able to enjoy all of your other works. Keep writing. You are so very talented. Yes, of course. Thank you. What an author you are! Your works are breath taking! Plz,publish ‘Win’ ASAP.I’ve read it till chp-33 on wattpad But I’m desperate to read further. PS- You are the best teen author. Well Vera, here’s a 52 year old British guy that (for whatever reason) liked the look of “Qualify” so downloaded it. NOT the type of book I normally read at all! Soooooo glad I did though. I thoroughly enjoyed both “Qualify” and then “Compete” (couldn’t put either of them down!) and now can’t wait for you to finish “Win”. Brilliant storyline and brilliant characters Vera, your writing is fantastic. Keep up the great work, I’ve now found my new favourite author! Kind regards and very best wishes, Graham. She is not better, wiser, stronger, more intelligent, more creative, or more responsible than a man. Likewise, she is never less. There is nothing to add, this is a complete blog entry from my InsipredUs blog and then reprinted in The Perpetual Calendar of Inspiration. Be sure to attribute the the quote properly. I am in love with your books. They are incrediblely amazing and I can’t wait to read the third book when it comes out. Absolutely loved Qualify (I looked at it on Bookbub and it was free. I almost skipped it) I am so happy I did get it. Need I say that Compete was just as great and I’m not very patiently waiting for Win. So hope you are feeling better. No one deserves pain. My husband was in pain and gave up. Thank you so much for the wonderful comment, so glad you enjoyed the books! I am still working on WIN, book three, hoping to be done with it soon. The book was delayed due to my medical issues, plus it’s turning out to be huge, already much longer than any of my other books (see my writing progress on the TAG website and on Facebook). I tried Qualify since it was free on Amazon, and sounded neat. Read it in one day. Bought Compete and finished it the same day as well! Then went searching for the next book, and found the beginning of Win. Eagerly waiting for the finish and thrilled to see there will be a book 4! Please just add my name to the list of people who can’t wait for the rest of the Atlantis series, and that from someone who doesn’t really ‘do’ science fiction, because I’m so science based that most of the time I can’t get into the stories, but I sure got into yours. Sorry to hear about your illness and hope you are fully recovered. I am a retired physician after 42 years worth, and still read medicine every day, I still want to know more. So, if there is anything I can do to be of assistance, you need only to ask. So looking forward to reading the new book in the Atlantis series! The first 2 were such wonderful reads I just couldn’t put the hem down! I am so excited. I just purchased Win! I am so waiting for work to end and curl up with this book. Thank you for sharing your writing. Wow, just wow. WIN was awesome. I didn’t want it to end. But now I’m sad and oh so very excited for the release of Book 4. I hope your health has improved and I hate to rush your amazing creativity (Yellow Quadrant) but I am on pins and needles waiting for the next installment. Thank you again for an amazing experience. I will most definitely be checking periodically for it’s release date. Thank you! 🙂 So glad you enjoyed! Another 5 star plus novel! Please don’t make us wait two years! Thank you. 🙂 Considering my poor health and chronic pain that does not allow me to sit upright in a chair for more than a few minutes, and the fact that WIN was a monumental, huge volume close to 1,000 pages in length, waiting only 1.5 years (NOT 2) for it is a very good deal. I tore through the fist two and devoured “WIN”, each page and excitement grew as I turned to the next. Read in one sitting…. So now big question how long do we need to wait for “Survive”? Thanks! Aiming to have it done by the end of 2018 or early 2019. The end of the year! I totally understand chronic pain and it’s effect on our body. I have Fibromyalgia, Osteoarthritis and Interstitial Cystitis. At a time. Take it easy! Hello Vera, I am thoroughly enjoying your books but I have a stumbling area that I hoped you’d clarify. In Chapter 63, Kateb tells a story about an invention. There he says, “People from everywhere came to touch the device – and were inspired to create problems (? ), solve all masterpieces (? ), heal the hungry (?) and feed the sick(? ).” Is this truly what you meant to say?? Seems a little backward to me. Also I hoped you could tell me, Something that Hedj Kukkait said, and the way he said it, to Gwen… is Aeson’s Mother a part of the Rim and did she ask him to protect Gwen? “The Invention” is intended to be that way, all the comparisons are backward intentionally (feed the sick, heal the poor, etc), it’s called Artistic Whimsy. Nice to see how my comment about how your books helped me overcome my depression has been removed. Guess you don’t need the sort of dark stuff that goes on inside a 16y/o’s mind tarnishing the perfectly positive blog you have going on. We certainly don’t remove reader comments, only spam. Try again. I was reading the comments about turning the series into movies. It is my opinion after reading the books several times that traditional type movie making will do them an injustice. I would hate to see them as a syfy channel reject cgi like sharknato. I would suggest 3d animation close to the Final Fantasy movies. That way everything you envisioned as well as the readers will have realistic look with no limitations to what can be done. Plus no actors to worry about. Just my opinion. Anyway, way to tell a story. Looking forward to Survive. I just want to say I love the Atlantis Grail books! They are well written and I thank you for writing them! Can’t wait to see what happens in the next one! When will the last book of the Atlantis Grail be published? Hello Vera, First I would like to say, I hope your health is not bothering you. I see that you have started Survive and you completed chapter 1. I am giddy with excitement, however, I remember you mentioned that you would possibly have a couple of chapters posted for Christmas. So I’m bummed out about that but oh well at least you’ve got the creative juices flowing and you’ll be done with Survive sooner rather than later (fingers crossed). I loved your books so much that I order hardback copies and I’m trying to convince my husband to let me display them like my Harry Potter books. I tell everyone I know how amazing your books are and tell them they need to read them for themselves. Again, thank you for this amazing adventure, looking forward to finding out what happens. Thank you so much for the new chapters. I really appreciate you doing it. i can’t wait till the 4th Atlantis Grail book comes out. i’m so excited. you’re a really great author. hope it comes out soon. omg i can’t believe you responded. thanks so much. I can’t remember how I found your books for the Atlantis Grail Trilogy and I never would have thought of reading that genre, but somehow I found your first book in the series and fell in love. I love the characters, the experiences, the sci-fi feel, and your writing is really awesome! Thank you for writing and sharing your stories. I secretly hope the story arc continues past the 4th book because I am not sure where to go once it’s all done. I don’t want to leave that universe! Thoroughly enjoyable trilogy! Will the 4th installment be available soon? I recommended this to my sister and she loved it also! I absolutely adore your series Atlantis Grail!! I was wondering if there will be a film coming out at some point? If so I would LOVE to be a part of it! I’m a 14 year old girl from the UK which could be an issue but age wise I will be older by the time it all happens, and I can do a decent American accent haha. I don’t know but I would love so much to help in whatever way! Good evening. I have just finished reading your Atlantis grail trilogy. Looking forward to the next book you have coming out. Question – do you see yourself as Gwen? I love the Atlantis Grail Games series. I read books 1-3 twice which is not something that I do. I do have one problem I’m having a problem imaging Aesom because I haven’t seen anyone with gold hair. I am eagerly awaiting book 4.